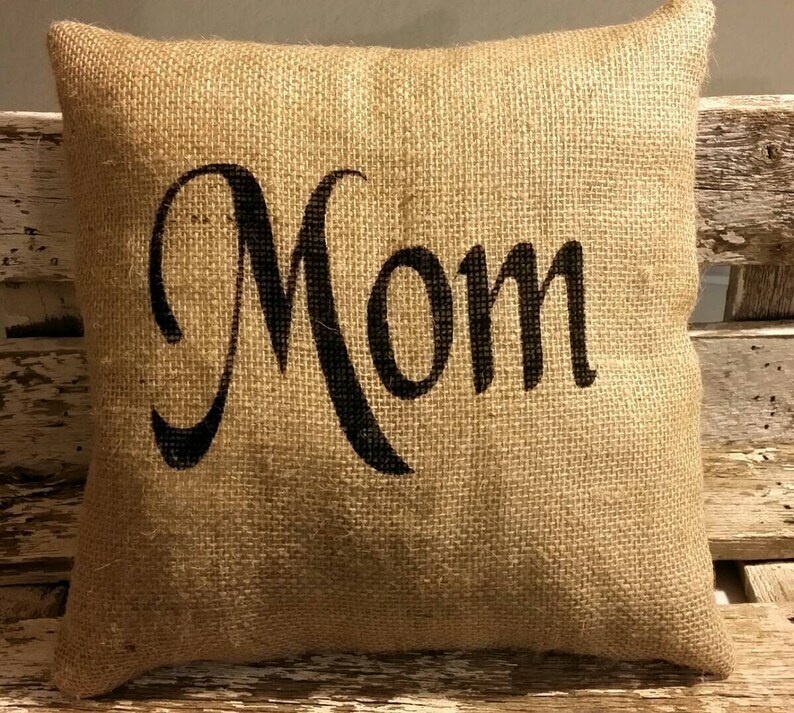 Burlap Mom Stuffed Pillow is made with a high quality burlap and lined with cotton muslin. I have lined this pillow so that no white fiberfill shows through your pillow, this gives your pillow a very sturdy feel. This pillow makes a great Mother's Day, Birthday Gift or just to say I Love You Mom! What a cute way to let your Mom know how much you love her, she will feel your love every time she sees this pillow. Mom letters are painted black on the front of the pillow. Your pillow comes filled with hypoallergenic fiberfill and I slip stitched it closed at the bottom. Pillow measures approx 12" x 12"
Such a cute pillow and my mom loved it! Love the fact that this primitive ragged ann doll is different with dark hair! Very well made and look forward to doing more business soon! Raggedy Annie Katie Annie Primitive Doll Raggedy Ann Blue Floral Dress Annie Doll Ready To Ship! You don't need a paypal account to pay through paypal. They accept Visa, Master Card and Discover credit card payments without a paypal account. 2. You can use your credit card with Direct Check Out here on Etsy. Please contact me within 3 days of receiving your purchase and I will try to resolve the problem or issue you a refund. You must return the item to me in the same condition and packaging as you received it. Return postage and shipping the item back to me is the buyers responsibility as soon as I receive the item I will issue you a refund minus the shipping fees. I do not refund the shipping fees on any item. Some of my items are ready to ship, this will be noted on the listing. I ship USPS Priority Mail 2 to 3 business days. I am happy to make a custom order for you just let me know what you would like me to make!